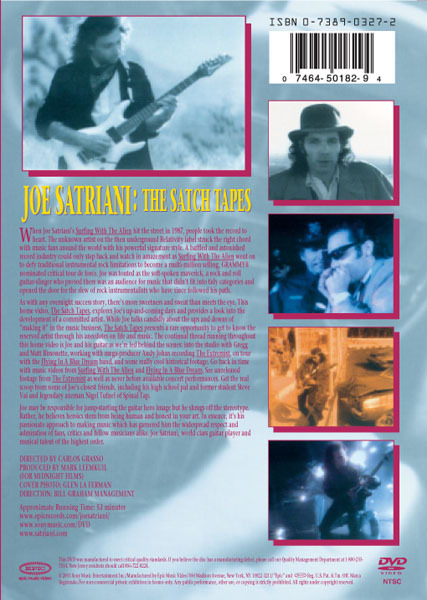 When Joe Satriani's Surfing With The Alien hit the street in 1987, people took the record to heart. The unknown artist on the then underground Relativity label struck the right chord with music fans around the world with his powerful signature style. A baffled and astonished record industry could only step back and watch in amazement as Surfing With The Alien went on to defy traditional instrumental rock limitations to become a multi-million selling GRAMMY(r)-nominated critical tour de force. Joe was touted as the soft-spoken maverick, a rock and roll guitar-slinger who proved there was an audience for music that didn't fit into tidy categories and opened the door for the slew of rock instrumentalists who have since followed his path. As with any overnight success story, there's more sweetness and sweat than meets the eye. 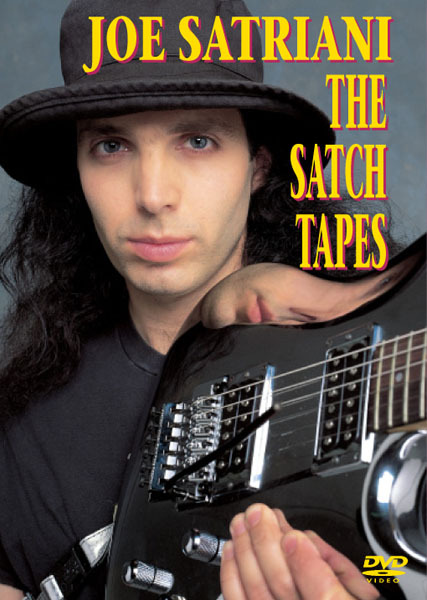 This video, The Satch Tapes, explores Joe's up-and-coming days and provides a look into the development of a committed artist. While Joe talks candidly about the ups and downs of "making it" in the music business, The Satch Tapes presents a rare opportunity to get to know th reserved artist through his anecdotes on life and music. The continual thread running throughout the video is Joe and his guitar as we're led behind the scenes: into the studio with Gregg and Matt Bissonette working with mega-producer Andy Johns recording The Extremist, on tour with the Flying In A Blue Dream band, and some really cool historical footage. Go back in time with videos from Surfing With The Alien, and Flying In A Blue Dream. See unreleased footage from The Extremist as well as never before available concert performances. Get the real scoop from some of Joe's closest friends, includin his high school pal an former student Steve Vai and legendary axeman Nigel Tufnel of Spinal Tap. Joe may be responsible for jump-starting the guitar hero image but he shrugs off all the stereotype. Rather, he believes heroics stem from being human and honest in your art. In essence, it's his passionate approach to making music which has garnered him the widespread respect and admiration of fans, critics and fellow musicians alike. Joe Satriani, world class guitar player and music talent of the highest order.